Social Security will pay survivors benefits to your spouse, based on your work record. 1. Can a Former US Citizen Receive Social Security Retirement Benefits? 3. Can Social Security Benefits Be Paid for a Stepchild After the Stepparent Dies? If you've paid in to the Social Security system through payroll taxes, you are entitled to retirement benefits as well as disability benefits, if you're unable to work because of a medical condition. In addition, your spouse may be eligible for survivors benefits should you pass away. There is no citizenship requirement, but survivors must be in the country legally to draw benefits. In order for your spouse to receive survivors benefits, you must be fully insured by Social Security. This means that you must earn at least 40 work credits toward Social Security eligibility. The agency awards a credit for earning a minimum amount of money and paying Social Security taxes on the money. In 2012, one work credit was awarded for each $1,130 of income. You can earn a maximum of four credits in a year. 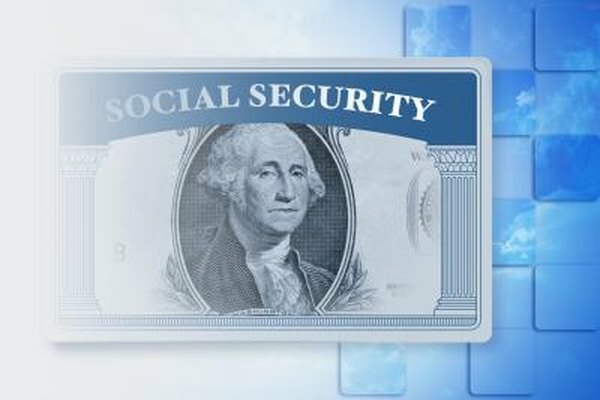 For a non-citizen or citizen survivor, Social Security will pay beneficiaries who are at least 60 years of age. The amount of the benefit is permanently reduced if the survivor begins drawing it before full retirement age, which varies from 65 to 67 depending on the year of birth. If a widow is taking care of a minor child under the age of 16, Social Security pays her -- regardless of her age -- 75 percent of a full benefit. The amount of the benefit is based on your own record of earnings. In addition, minor children also receive 75 percent of a full benefit. By a change in the immigration law in 2009, a non-citizen widow may apply for permanent residency status, no matter how long she was married to a US citizen. Social Security survivors benefits are payable to non-citizens who are in the country legally, either as permanent or temporary residents. The technical term used by Social Security for legal status is "lawful presence," and includes non-immigrants such as refugees or those claiming political asylum. There is no requirement for a survivor -- citizen or non-citizen -- to have worked and paid in to Social Security on her own. Social Security will continue to pay survivors benefits to non-citizens if they leave the country, with some important conditions. It depends on reciprocal treaties and agreements signed by the United States and the country where the survivor moves. If your surviving spouse is not a citizen of a country that pays social insurance benefits to US citizens living within its borders, for example, the survivors benefits stop after the survivor has been outside of the United States for six months. A survivor who is a citizen of France, for example, would be eligible for benefits just as if she remained in the United States; a survivor from Ghana, however, would stop receiving benefits six months after leaving, as there is no agreement between the United States and Ghana.